Meet Elephant Gerald and Piggie Gerald is careful. Piggie is not. Piggie cannot help smiling. Gerald can. Gerald worries so that Piggie does not have to. Gerald and Piggie are best friends. 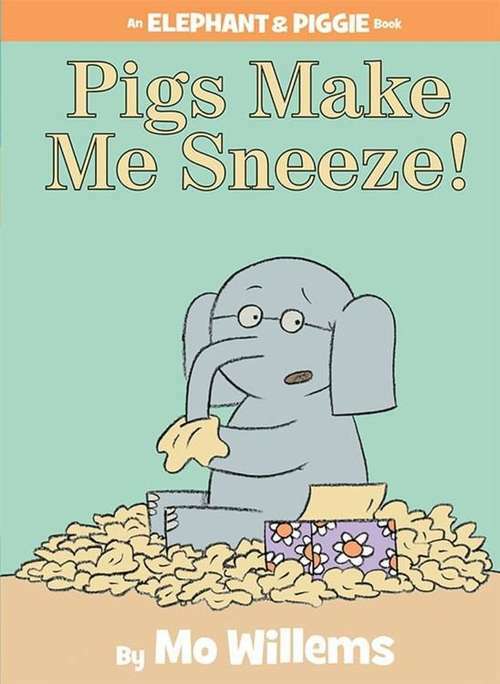 In Pigs Make Me Sneeze! Gerald believes that he is allergic to his best friend! Will he have to stay away from Piggie forever?